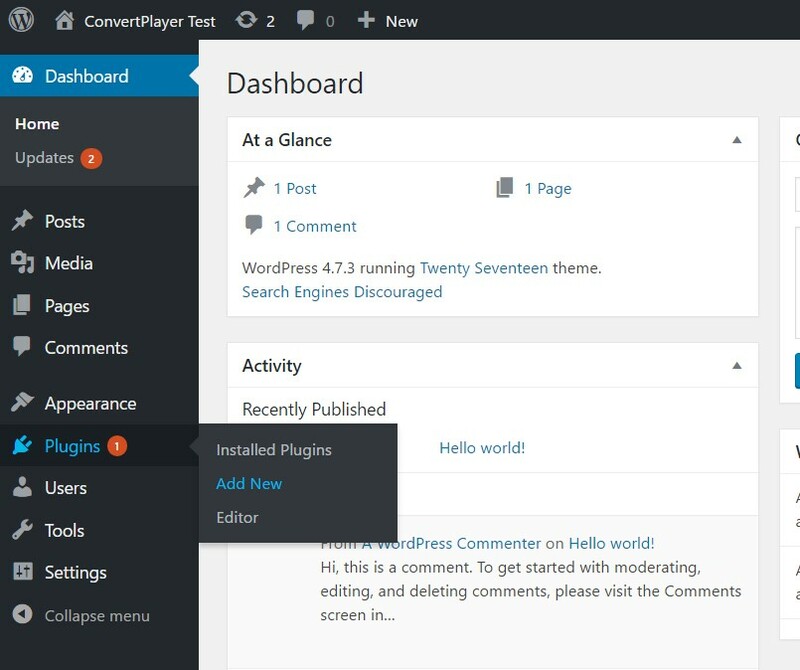 There are 2 ways how to install ConvertPlayer plugin in WordPress. We recommend you to use the first one, it's much easier. In order to use WordPress plugins, you will need to use self-managed WordPress.org version. If you are using WordPress.com, you won't be able to install new plugins. Below is described the installation directly from your WordPress site. But if for some reason you can't use the official plugin please read this article about using ConvertPlayer in WordPress without plugin. Go to your admin area on your website and log in to your WordPress account. Go to Plugins tab and click Add New. Search for " ConverPlayer" in the search bar on top right. And once you it appears in search results simply click on Instal Now. Once it is installed, click on Activate. 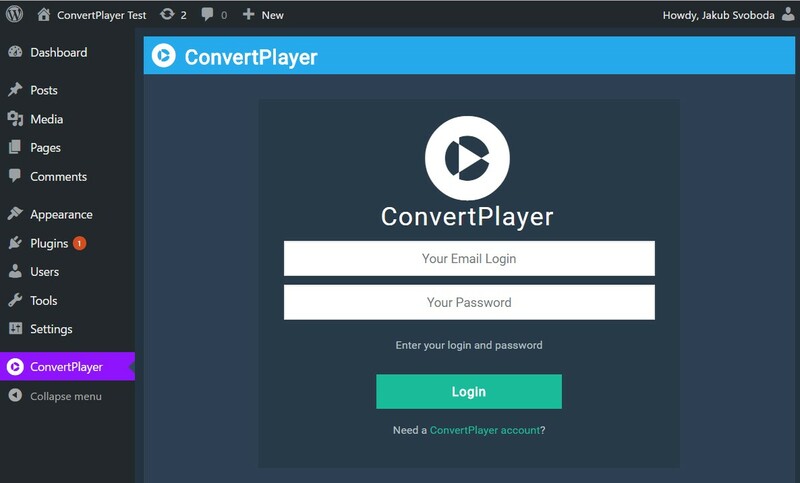 Log into your ConvertPlayer account and start using our WordPress plugin. 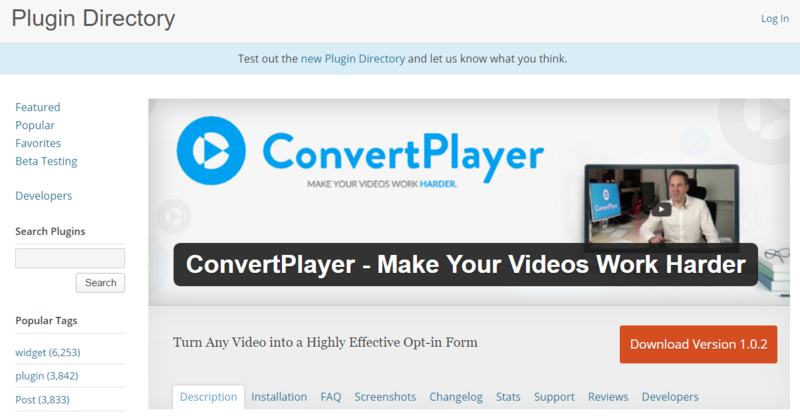 And now you are ready to use ConvertPlayer on to collect emails from your videos on WordPress! 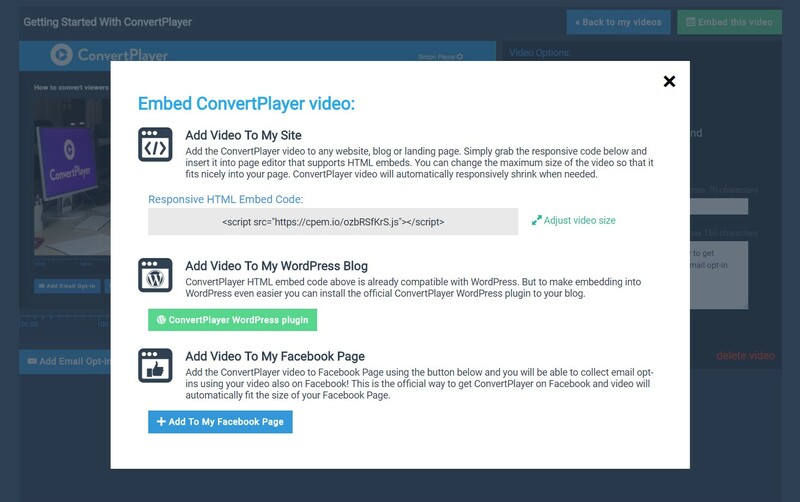 ConvertPlayer post editor button: Once you install and log into the ConverPlayer WordPress plugin you will get a handy post editor button that will make adding a video to post super easy. Note: If you need to refresh the list of the videos in the editor button simply visit ConvertPlayer menu item in your WordPress to re-load your new videos. 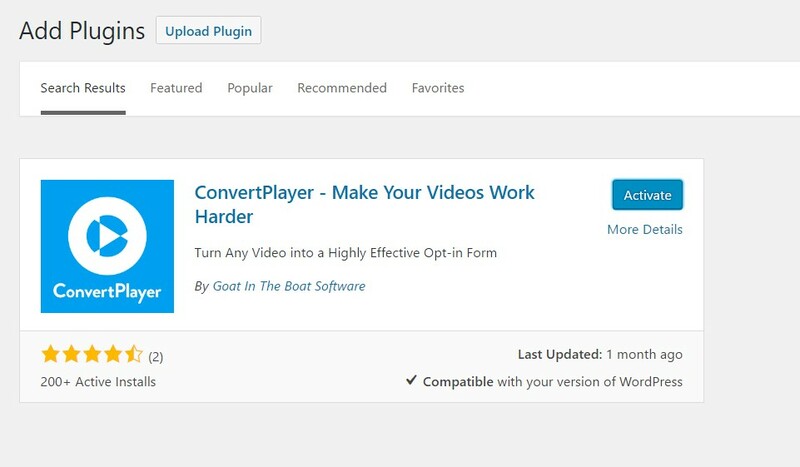 Download our WordPless plugin by clicking on the "ConverPlayer WordPress plugin" button. It will redirect you to WordPress Plugin Directory. Just click on download version 1.x.x and go to your WordPress admin area. Click on plugins and Add New, then click on Upload Plugin. Choose file and select the ConvertPlayer plugin .zip file from the destination, where you saved it. Click on install now. Once it is installed, click on Activate Plugin.